“I want food companies to tell us the truth about what’s in our food and I can decide what is best for me.’’ Those were the words of a Louisiana food shopper at the recent Food Integrity Summit: A Clear View of Transparency. The Summit included a novel session – a live focus group of consumers from the New Orleans area that were led through a discussion about food at home and away from home by the National Restaurant Association’s Sue Hensley. In addition, summit participants were able to ask questions of the focus group participants. It was an eye-opening hour and a half. My take away from the session – consumers are more skeptical of food companies than ever before. They want healthier food choices and more information from companies about what’s in their food, how it was made and where it comes from – but they just aren’t getting enough of it. 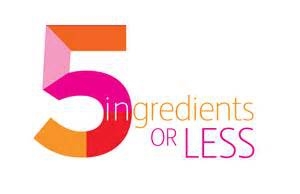 The session was also confirmation that consumers are acting on their instincts, as most panel members reported they seek foods with less than five ingredients when they shop. And they want those five ingredients to be things they can recognize and pronounce. Its just one focus group, but it confirmed what many people believe – the food sector is in a period of destabilization, caught between the familiar paradigm of the past and an evolving culture they have not harnessed yet. For decades, American food companies became a model of efficiency, driving the cost of food to as low as 6% percent of disposable income. Thus was born the high volume, low margin operating model so familiar to food companies for decades. Consumers were probably on the cusp of moving toward a new paradigm years ago, but when the economy tanked in 2008, consumers downshifted their spending to get the biggest bang for their buck – probably artificially extending the value-centric operating model along the way. As the economy wakes from its slumber, many consumers have decided they want healthier food choices and are willing to pay for them. That paradigm shift caught many food companies off guard. For the first time in decades, the food sector is struggling to understand what consumers want and how to give it to them. Thus, a period of destabilization has emerged that is driving uncertainty and consolidation but also fomenting innovation and creativity at the same time. To respond to consumer needs, companies are quickly bringing thousands of new and reformulated products to market – products with no artificial ingredients, fresh, local and organic options… non-GMO options and the list goes on. They are also figuring out how to re-establish trust and the consumer-brand bond that existed for so long. That strategy extends beyond product development to the art of communication. They are learning how to communicate more effectively on food labels and establishing a values-based, two-way dialogue with consumers. One of the most compelling innovations was on full display at the Food Transparency Summit – industry’s Smart Label program (www.smartlabel.org), that aspires to place QR codes on food and beverage products & when snapped connects to Web pages loaded with information about specific products. Its still in development and must meet ubiquity, awareness and use benchmarks, but the technology may prove that food labels are not the only – or even the best – source of information for consumers. As Sam Kass, former White House Food Policy Director, told Summit attendees, “QR codes are not a long-term solution for ingredient transparency.” But he did say it’s a good first step for food companies, which will need to embark on a generations-long journey to provide consumers with healthy food choices and complete information if they want to reconnect with consumers and succeed in the marketplace.